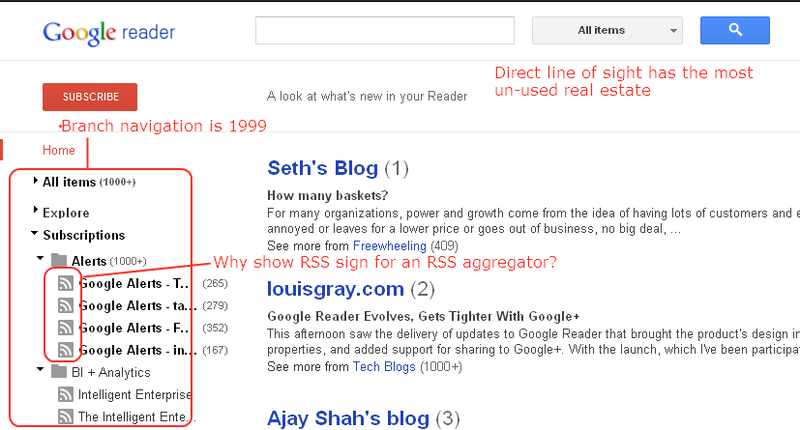 In my earlier post, I had ranted about the icons that go against feed identifiers in Google Reader (that wasn’t the only thing I ranted about but yes, they did look like 1990s). 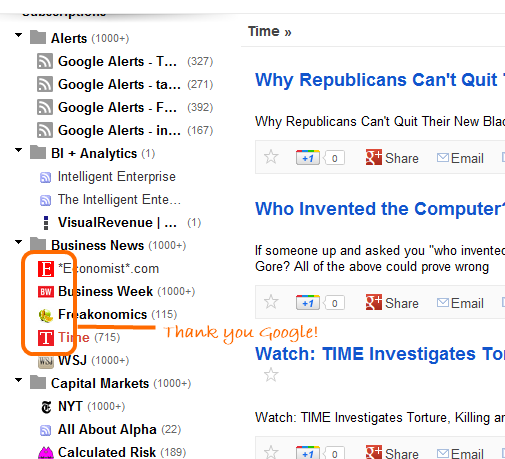 I was pleasantly surprised today morning that Google has started showing brand thumbnails against the feeds. That’s good.